So far service was great, fast shipping no hassle. Product is as described. Whether is good or not I will be able to tell in 2 or 3 months. Thank you! I've been taking this capsules for 1 month and feel great, the soft gels are easy to swallow, no burping or fishy aftertaste. I'm scheduled for blood test on 2 months, so I'll come back and update my review, but so far I like the product. 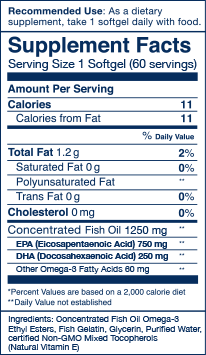 This is a great fish oil. You won't have any aftertaste. I've been taking Wiley's fish oil for two months now and I'm really happy with the results. 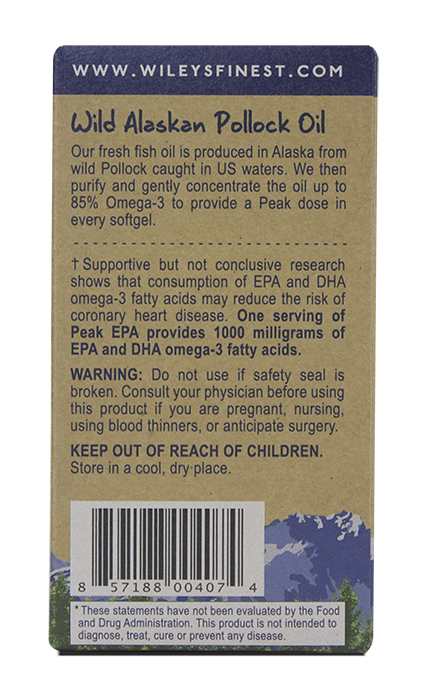 Unlike many products on the market, Wiley's uses wild fish verses farm raised. Great Product to protect your health! I have been taking these for several years. They are a great product, yes a little expensive,but you get what you pay for. No upset stomach, no "fish" breath, but good protection for your body. They are very good with taking care of your order and shipping to you. 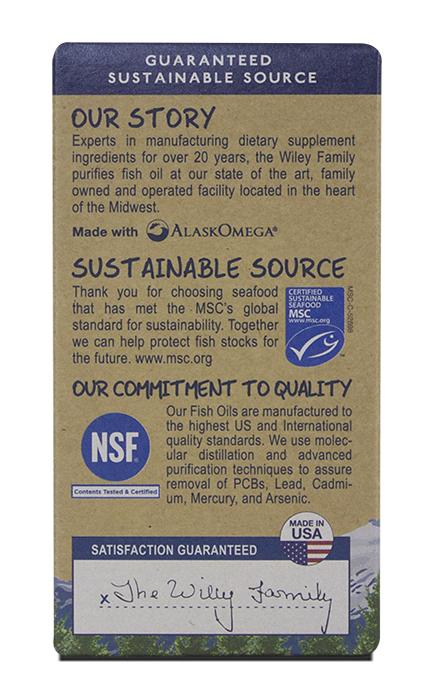 Best quality and potency by far of any fish oil I've ever tried! I noticed improvement in my cholesterol numbers since taking this product. Done research and these are best on market. We take the Peak EPA. There's no side effects of tasting the fish oil. We tried a little freezer test - the softgel freezes clear. If it freezes cloudy the product would show that additives have been added which we do not need in our bodies. 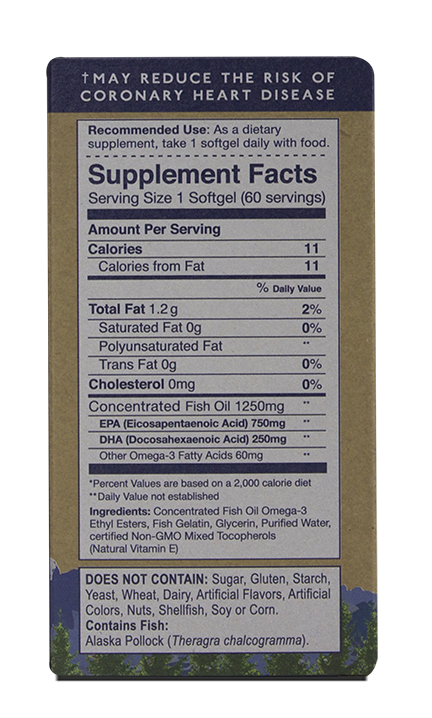 This is the best fish oil I've been able to find for the price with the recommended dosage of EPA & DHA. I just can't seem to find anything better. A great product at a good price.